Asgard, the celestial stronghold of the Aesir tribe of gods and goddesses, is encircled by a high, protective wall. This wall (the -garðr element in the Old Norse name Ásgarðr) defends the Aesir from incursions by the giants and other beings who are often the enemies of the gods. But this wall wasn’t always there. This tale recounts how the wall was built – and this riotous story is probably one of the raunchiest and most scandalous tales in all of world mythology. A certain smith arrived at Asgard one day and offered to build the gods a high wall around their home to protect them from any who might wish them ill. The smith (certainly a giant himself) said he could complete his work in a mere three seasons, but demanded a steep compensation: the hand of the goddess Freya in marriage, as well as the sun and moon. The gods took counsel together. Freya was adamantly against the giant’s terms from the start. But Loki suggested that the builder should obtain that which he desired, although only if he could complete his work in a single winter, with no aid from anyone but his horse. After much deliberation, the gods consented to Loki’s plan. Of course, the gods had no intention of actually giving Freya away, nor the sun or the moon; they thought that the task they demanded was impossible. The giant smith, however, agreed to their terms, provided that the gods swear oaths to ensure that, if their conditions were met, they would fulfill their end of the bargain, and that he himself would be safe in Asgard while he worked. The builder set about constructing the wall, and the gods marveled at how quickly the structure was raised. What was even more perplexing to them was that the giant’s stallion, Svadilfari (“Unlucky Traveler”) seemed to be doing almost twice as much work as the smith himself, hauling enormous boulders over considerable distances to add to the edifice. When the end of winter was only three days ahead, the wall was strong enough to be impenetrable by almost any enemy, and – alarmingly – lacking little before it was finished. Only the stones around the gate had yet to be put in place. The anxious gods seized Loki and rebuked him for giving them such foul advice. They threatened him with death if he couldn’t find a way to prevent the giant from finishing his task and making off with their beloved goddess Freya and the sun and moon, bringing neverending darkness and dreariness to the Nine Worlds. Loki pleaded with the gods to spare his life, and swore an oath that he would do as the gods desired, come what may. That night, the giant and Svadilfari ventured into the snow-draped forest in search of stones. Along their way, a mare, who was none other than Loki in disguise, whinnied to the stallion from a short distance away. When the stallion saw the mare, his heart wasn’t the only organ that was roused by delight and lust, and he snapped his reins and bounded into the woods after her. The mare ran all night, and all night Svadilfari chased after her. When morning came, the giant’s horse was still missing, and the now-despairing giant knew that there was no way that he could now finish the wall in time. The Aesir then paid the giant the wages they deemed he deserved: a fatal blow from Thor’s hammer, which shattered his head into pieces no bigger than breadcrumbs. 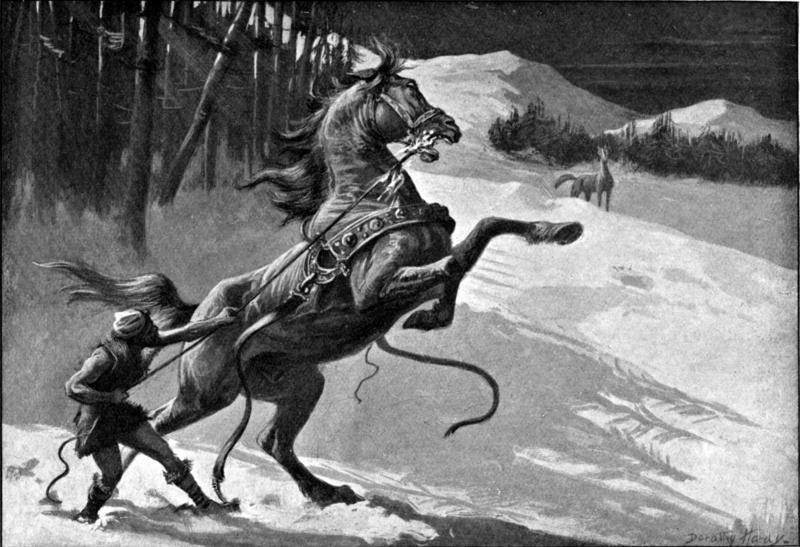 Meanwhile, deep in the forest, Svadilfari had caught up with Loki, who soon gave birth to a gray, eight-legged horse – Sleipnir, who became the steed of Odin. Simek, Rudolf. 1993. 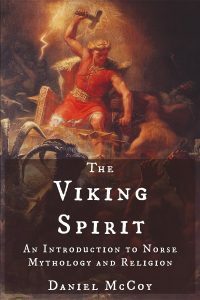 Dictionary of Northern Mythology. 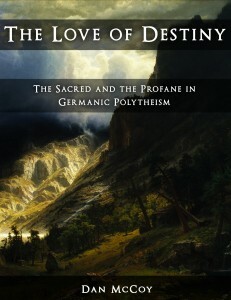 Translated by Angela Hall. p. 305. The Poetic Edda. Völuspá, stanzas 25-26. The Poetic Edda. Völuspá in skamma, stanza 11.